As a journalist, she's spent the past few years chasing the big scoops - no matter the consequences. When she makes a terrible mistake, she finds herself mired in scandal, her career implodes and even her personal relationships are tested to the limits. 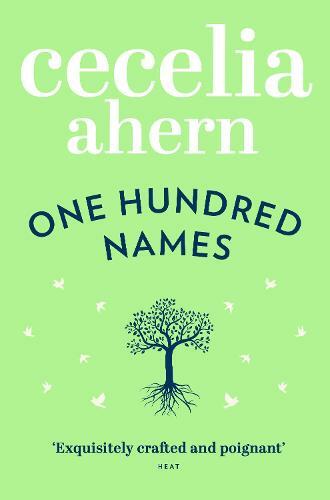 At a loss, Kitty finds distraction in a list of one hundred names her late mentor and boss, Constance, has left her. Kitty's been given one final chance, the most important assignment of her life - to write the story behind the one hundred names as a tribute piece to Constance. As she tracks down the people on the list and tries to work out what connects them, Kitty meets some extraordinary people. Can these strangers' stories help her finally understand her own? Not one of my usual genres, the novel has an entertaining, easy to read story - which meant the book was difficult to put down! An engaging story of the importance of the individual. We may think we have no story to tell but we do. We all have a place in the universe. A classic feel good rom-com.